I just love sunflowers. They’re so beautiful and bring a smile to my face for no obvious reason. Sunflower oil is derived from the seeds of the beautiful sunflower, a yellow flower from the asteraceae family. Sunflower oil is light yellow and has a mild and pleasant. 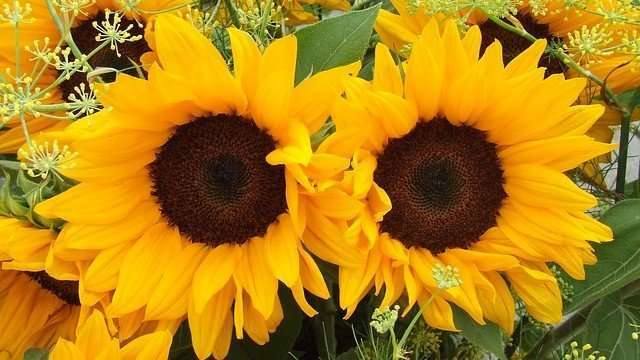 The largest producers of sunflower oil are Russia, Ukraine & Argentina. Is Sunflower Oil Good for Hair? Sunflower oil contains the highest amount of vitamin E compared to other vegetable oils. It is rich in essential fatty acids, monounsaturated and polyunsaturated fats. 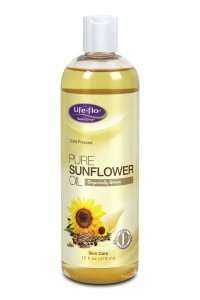 Sunflower oil is very good for the hair and helps treat dry and dull hair successfully. Sunflower oil has a high amount of oleic acid (omega-9) and palmitic acid. 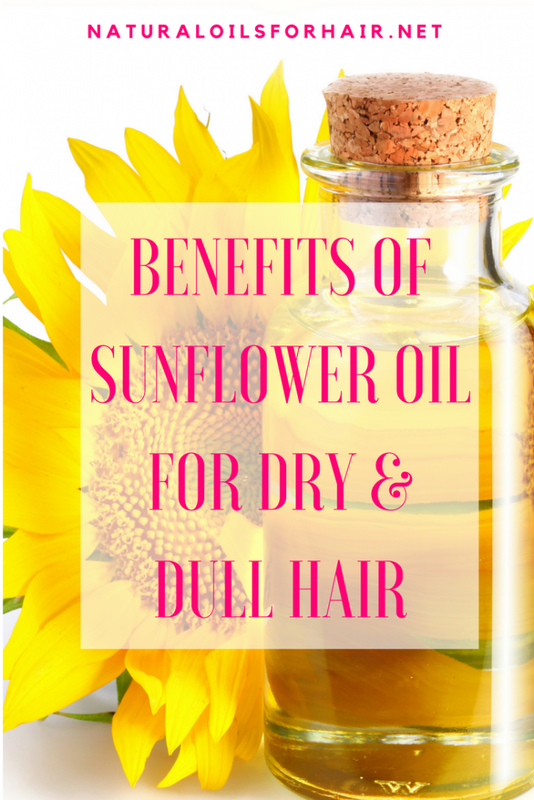 It also contains lecithin, carotenoids and vitamins A, C, D and E.
Quite a few cosmetics use sunflower oil in formulations for hair care because of its benefits for hair. Sunflower oil is one of the best oils to use as an emollient. An emollient oil provides a protective barrier around hair and prevents loss of moisture from hair. 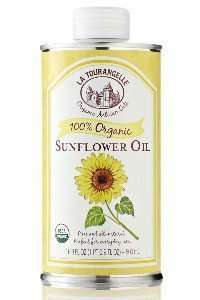 This makes sunflower oil a great oil to use for sealing hair or in the LOC method. Sunflower oil softens hair and makes it easier to detangle and style. It also eliminates frizz and makes styles last longer. 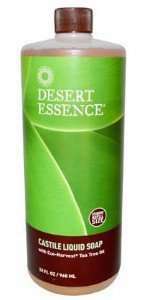 It has a light texture so it’s easily absorbed into the hair. If you have greasy hair, including the sunflower oil shampoo recipe below into your hair care regimen can help reduce the greasiness and give your hair more bounce. ½ teaspoon of rosemary essential oil. Heat up the distilled water then add in the Castile soap, sunflower oil, and rosemary essential oil. Whisk together until all the ingredients are well blended. Apply the DIY sunflower shampoo to your hair normally. Deep condition as usual afterward. Tip: You can prepare it the evening before and keep refrigerated until ready for use. Since there are no preservatives, it’s better to make this in small quantities as required instead of a large batch at once. Whisk the egg yolk until frothy then add in the wheat germ oil and sunflower oil. Whisk thoroughly again. Pour into an applicator bottle. Apply to the length of your dry hair. Smooth in and make sure all your hair strands are coated. Cover with a shower cap and leave on for 30 minutes. Wash out with a mild shampoo, followed by your usual deep conditioning. Regular application leads to smooth and lustrous hair, full of sheen. 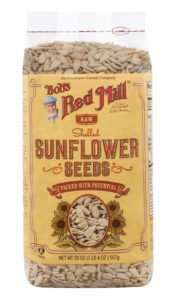 You can either try the raw hulled sunflower seeds variety or shelled, roasted & salted sunflower seeds variety. Keep in mind; a handful of sunflower seeds can pack a punch of up to 165 calories so snack lightly.